Big changes are afoot at Craftsy, and if you are following any independent designers on social media or via their blogs & websites, you’ve probably been hearing a lot about it over the last few days. For those of you who haven’t heard, Craftsy sent emails to all of their designers, including me, on December 19 to let us know that they are drastically changing the platform. Many designers are losing their shops entirely. No questions, no ability to petition for a second chance. Other designers, like me, received a message saying that we can keep our shop, but that some of our patterns may be deleted. There is no list of patterns that may be excluded from our shops. Stores will be purged or locked down on December 28, depending on whether or not designers are being cut. My understanding is that the remaining shops will be frozen until some time in 2019, meaning those designers who do make the cut won’t have access to change their stores. We were hit with this all at once. No chance for input, no time to process with just Dec 19 – 28 to figure it all out. Here is the FAQ they have created for this change. Because of the past ease of using Craftsy, most of my paid pattern business was built on their platform. Losing control over my pattern business is not an option. I am an independent designer and have been since I started down this path many years ago. I do everything myself from designing, writing, communicating with pattern testers, editing, publishing, promoting, etc. Effective immediately, my Craftsy shop is closed. As of the writing of this post, I have deleted 261 patterns from my Craftsy pattern shop, both free and for sale. There is a lot of work ahead of me to remove & change all the links on Sewhooked and to find appropriate new homes for all of my patterns. Please know that I will get all of this sorted out, but it is going to take a considerable effort and a lot of time. On that note, Craftsy says on the FAQ linked above that customers will continue to have access to purchased patterns which have been purged will be able to print or save those PDF files. However, if at some point this because an issue for you, please feel free to send your receipt to me at sewhooked@gmail.com and I will be happy to send the pattern or patterns you purchased to you directly. 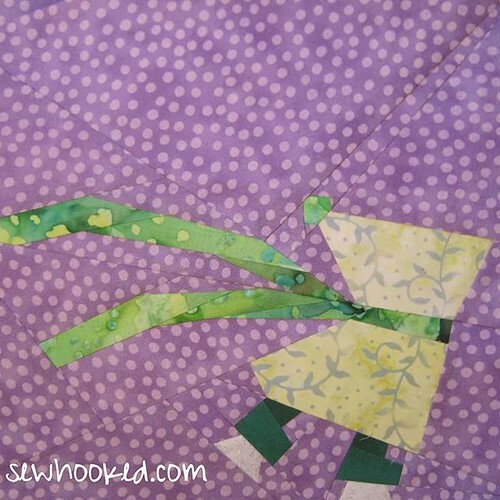 All of my FREE patterns are still available right here on Sewhooked. You can access them to print or save. See FREE PATTERNS in the menu above. There are several menu options to choose from. For the time being, all of my paid patterns will be in my Etsy shop. If you’re looking for a pattern not currently listed, please get in touch and I will add it for you. I am looking into several other possible platform options as I decide what to do next. As of right now, my Craftsy & Share-A-Sale links no longer work. If you need help finding a pattern, please contact me. Be patient as you wait for replies. 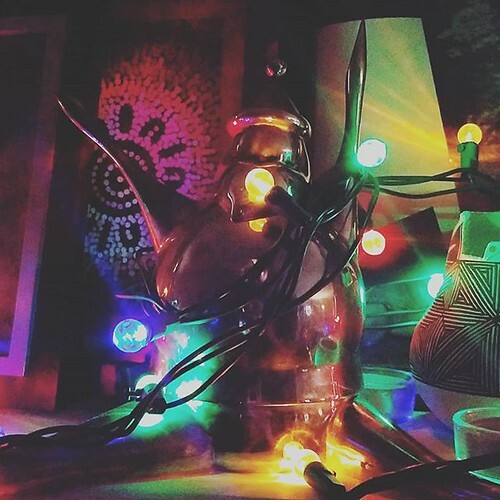 Sewhooked is no longer a Craftsy affiliate effective December 22, 2018. For the time being, I’ll be enjoying my family as much as possible for the holidays and I hope you get to do the same. This entry was posted in -sewhooked website-, Craftsy, etsy, shop and tagged affiliate, broken links, craftsy, craftsy affilate, craftsy changes, craftsy designer, etsy, pattern shop, sales, sewhooked, sewhooked shop, share a sale on December 22, 2018 by Jennifer Ofenstein. This entry was posted in talk to me tuesday, ttmt and tagged my back pocket, paper pieced jeans, rainbow cascade, sewhooked, sewhooked facebook group, talk to me tuesday, The Linus Connection, ttmt, vlog on January 23, 2018 by Jennifer Ofenstein. It’s coooold here today (for Austin!) and I accidentally left my sewing room window cracked last night, so this is a fast one! This entry was posted in talk to me tuesday, ttmt and tagged birdbath, rainbow cascade, sewhooked, sewhooked facebook group, talk to me tuesday, The Linus Connection, ttmt, vlog on January 16, 2018 by Jennifer Ofenstein. TTMT #366 – Stuff & a Winner! In which I talk about some stuff and announce the winner of the Sewhooked Facebook Group Fat Quarter Lotto! Quiltmaker’s 100 Blocks Blog Tour – My day is May 6, not May 5. Oops! The April My Favorite Things pattern is free all month long to celebrate my birthday: Get it here! May Free Pattern Day is on Sunday! This entry was posted in talk to me tuesday, ttmt, vlog and tagged facebook, sewhooked, talk to me tuesday, The Linus Connection, ttmt, winner on April 26, 2016 by Jennifer Ofenstein. Amber’s Someecard, in case you want to share her awesome. The April My Favorite Things pattern is free all month long to celebrate my birthday: Get it here! 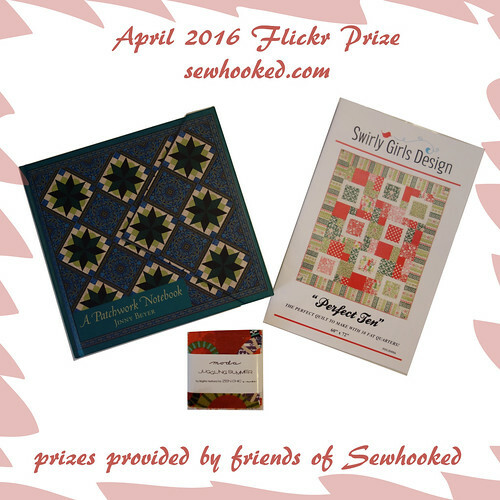 This entry was posted in -sewhooked website-, talk to me tuesday, ttmt, vlog and tagged amber's birthday, embroidery, facebook, fat quarter lotto, sewhooked, talk to me tuesday, ttmt on April 12, 2016 by Jennifer Ofenstein.